It’s officially cold now. Sometimes even in the fall I don’t feel like making hot soup unless there is a real chill in the air. And today there definitely was! 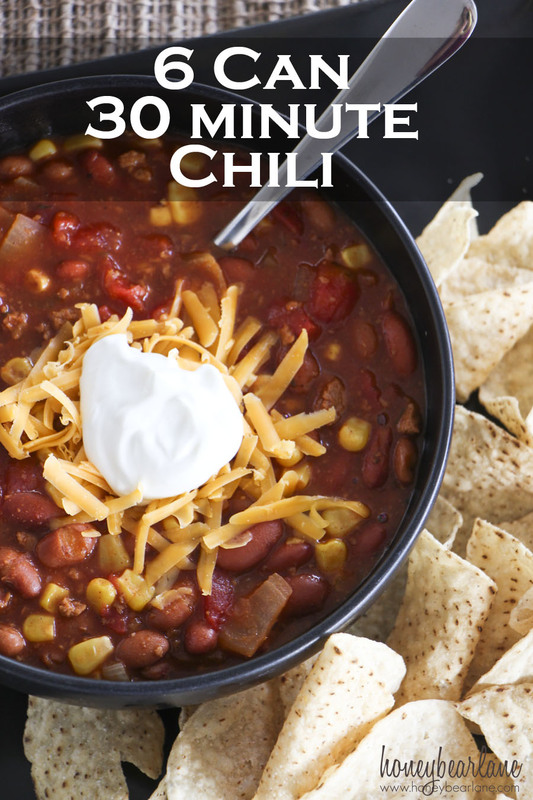 I decided to make an easy chili recipe that is very quick and easy, perfect for a cold yet busy day. And most of the items you will find in your kitchen. It’s very hearty and full of protein to give you a boost and fill you up. And healthy–maybe make it for Halloween night dinner before sending your kids off to fill up on sugar?! I love to eat this meal with lots of tortilla chips, cheese, and sour cream. If you dip your chips into it, it almost tastes like a bean dip. 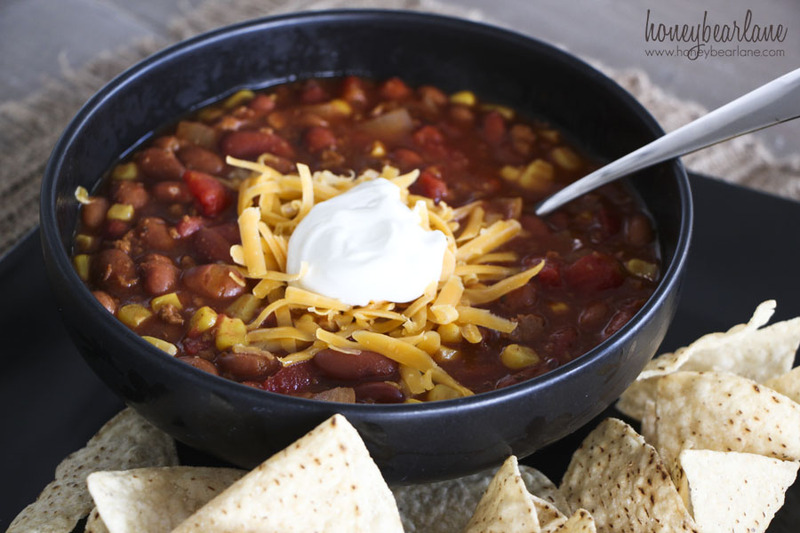 Sometimes a big bowl of chili can get tiresome to eat so it’s nice to have some variation in the way you eat it. Plus it is much more appealing to kids to eat it with chips. I love how easy and cheap this recipe is. No soaking beans all day (which is risky because I have NEVER successfully softened beans) and you don’t even need to cook any meat because of the cans of turkey chili. I love that it has the corn in it too to give it a little variation and the onions add a lot to the texture. 1-2 cups water, depending on how thick you like it. Start with a large pot. Heat some oil and saute the onions for a couple minutes. Then add the corn, tomatoes, beans, and tomato sauce. Add the spices and finally add the canned chili. Now add the water according to how thick you like it. Let it come to a boil and simmer for about 15 minutes. Couldn't be easier! To cook dried beans, soak them for at least 12 hours then drain the water. Put them in your crock pot and fill with water past the beans and cook on high 3 hours or low 6 hours, depending on the bean. Bigger beans take longer, smaller beans cook faster. It’s so easy. Do a huge batch and freeze the extra beans in small containers and you’ll always have beans available. Thanks Michelle. Still not doing it. Ha!